I'm so excited to share with you a fabulous online shop called UncommonGoods! "UncommonGoods is an online marketplace offering creatively designed, high-quality merchandise at affordable prices. At UncommonGoods, we believe that creativity and the expression of individuality represent two great human treasures. We have set out to create a business that makes uncommon goods accessible to everyone." They focus on selling handmade, recycled and organic products by supporting independent artists to small manufacturers who create products in a more socially and environmentally responsible manner. What I love most is their beautiful selection of unique jewelry - you're guaranteed to find something amazing, whether it's for yourself or as a gift to someone special. 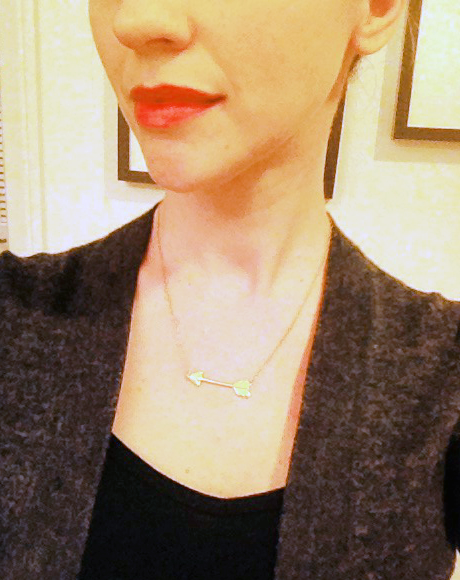 Many of the pieces they sell are handmade, like the sweet little diamond arrow necklace they so generously sent me (see below)! And if you're looking for personalized jewelry, they have many great options as well. I'm in LOVE with the custom baby footprint necklace and would adore wearing one with my baby's footprints (I'm due in August with baby #2!). Isn't it the sweetest thing? They also have one with hand prints. I've rounded up some of my favorite pieces to share with you. Which ones are catching your eye? Click here to visit the shop, where they sell much more than just jewelry (like art, home goods, gifts...). Enjoy and happy shopping! designed by mother and daughter team, Cindy and Avril Joffe. It's handmade with 18K gold vermeil, featuring a beautiful sparkly diamond at the head of the arrow. It was created to "inspire you to pave the way to your true north." I get so many compliments whenever I wear it! Handmade in the USA. This was a sponsored post by UncommonGoods. All thoughts and opinions are my own! This is a great tip-off; I love companies that produce great style with a conscience! Belle maison, belle designer and editor! J'aime bien. 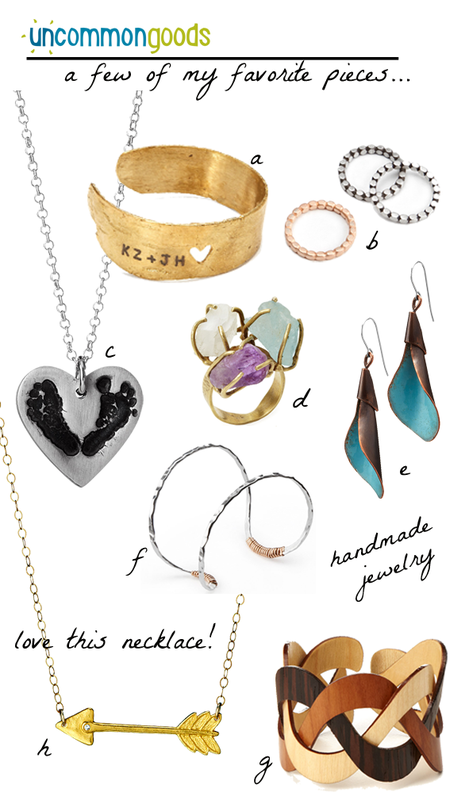 Probably the perfect gift for your girlfriend, the handmade unique jewelry really is something else!